Shown with an optional third-floor bonus space, the Westfield features three over-sized bedrooms and a den (or fourth bedroom). Unlike the Felicity, the Westfield’s stair configuration permits easy, walk-up access to the third floor, which can be configured as an attic or as a site-finish-able space. Downstairs, separate dining areas flank a spacious kitchen while there are separate living areas on either side of the foyer. 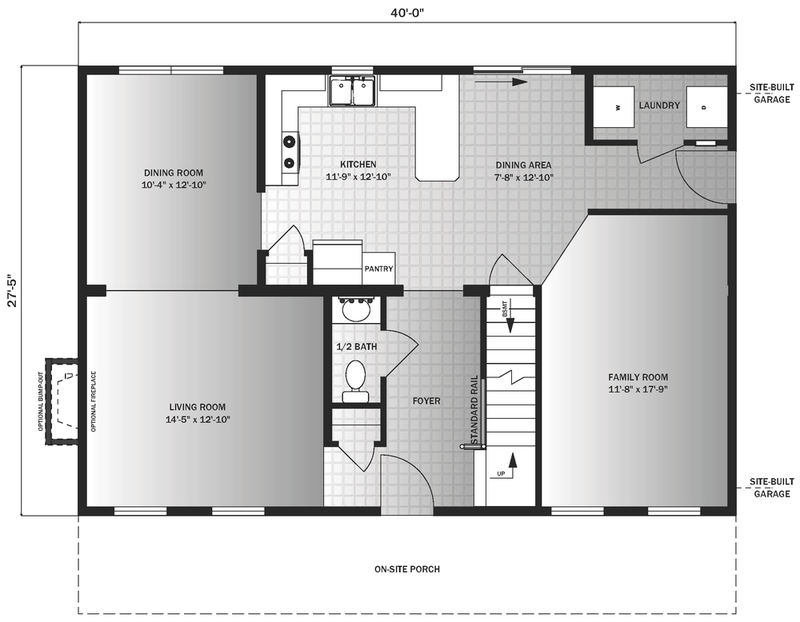 First Floor: 1,097 sq. ft.